Dash cam is one of the most important car accessories. Nowadays, having one is not a question of wanting one, it is more of a need. For those who are on the fence about getting one, here are the top 3 reasons why you should get a dash cam. 1. Providing proof during accidents - This is a great advantage to have in case you get involved in an accident. Dash cams will serve as your witness and proof of the events that happened before, during and after the accident. Video proof is one of the most indisputable evidence and can be used to protect you or others. It can also be used for insurance claims as well. 2. Save your trip - You can use your dash cam to save and record your road trip. You can enjoy a scenic route and utilize your dash cam footage. You can get creative and use the footage to create video montages for your travel vlogs as well. 3. Convenient and useful - Dash cams are handy and easy to set up. Most dash cams can be installed on the dashboard of your car or on your windshield with a suction cup or double-sided adhesives. Just plug it in with a charger and you are set to go. 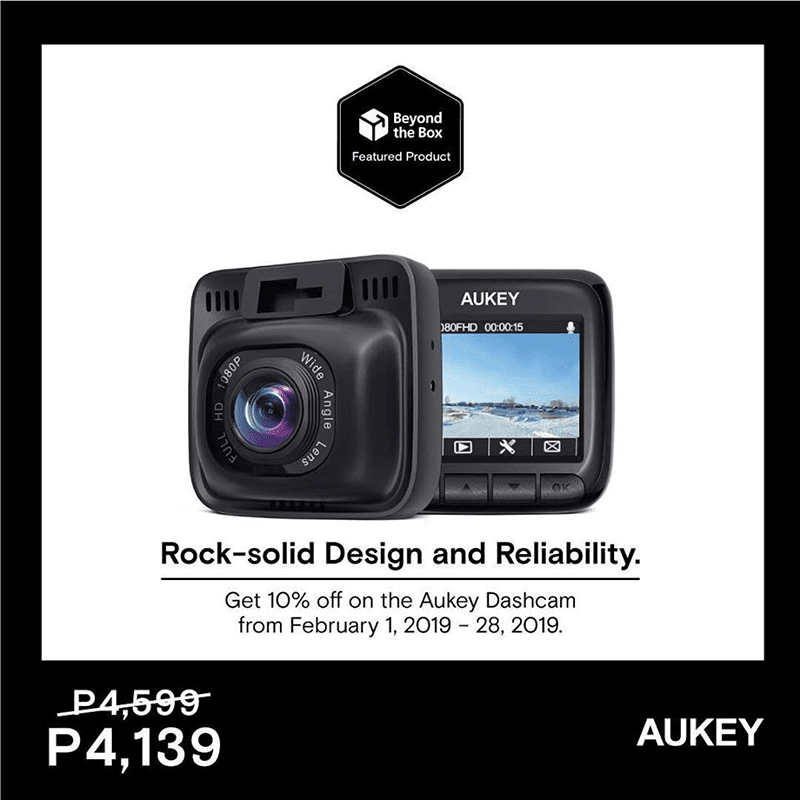 Digital Walker suggests the Aukey 170-degree 1080p dash cam. It is also Beyond the Box's featured product of February. It is offered with a 10 percent discount from February 1-28, 2019. For, PHP 4,139, it uses Sony Exmor sensor to capture 1080p video with a 170-degree FOV and optional in-car audio. It also has an Emergency Recording feature that activates if it senses sharp turns or sudden stops. It is available at Beyond the Box branches.